Daniel Vickers’s life and his work grew together. His colleagues, students, and friends remember him for his love of his family, his services to others, and his humane scholarship. That scholarship applied a disciplined imagination to discover the patterns of borrowing, lending, and working in early New England. Born in Toronto, he was known to all as Danny. He was descended through his mother from early New Englanders and his father was chair of the Department of Art History at the University of Toronto. During his youth as a bit of a red diaper baby, his older sister used to sneak him out to the “bells and smells” services at St. Thomas Anglican Church. Danny was educated at the University of Toronto Schools and then at University College at the University of Toronto. There he met Christine, who became the love of his life. She earned a graduate degree in pharmacology and worked in that field before later training in bookkeeping. From Toronto, Danny moved to Princeton for a PhD but, as soon as he could, he moved back to Toronto so he could be close to Christine, who he married. At Princeton he developed a seminar paper on Nantucket whaling into a dissertation on maritime labour in early Massachusetts. Using evidence from account books, probate inventories, and court records, he argued that when land was plentiful and labour was scarce, settlers used easy credit to recruit workers in whaling and the fisheries who were ethnic outsiders (Wampanoag men on Nantucket) or religious outsiders (non-Puritans and other marginal people in Essex County). When land became more scarce, larger numbers of free men who aspired to establish independent households and who were not ethnic or religious outsiders began to work in whaling and the fisheries. It took a lifetime to elaborate the precursors, consequences, and nuances of these arguments. During his postdoc in Williamsburg, Danny began a long association with his colleagues and friends at the Institute for Early American History and Culture (now the Omohundro Institute). The University of Wyoming at Laramie hired him and following that post he took a position back in Canada at the Memorial University of Newfoundland (MUN). During this time in Newfoundland he spent a second postdoc in Massachusetts where he and his young family lived in Salem, close to the Essex Institute archives at the Phillips Library. Danny described living and working in Newfoundland as the adventure of his adult life. Danny and Christine chose to live as part of the community of Flatrock, instead of in St. John’s, the provincial capital where many faculty members resided. 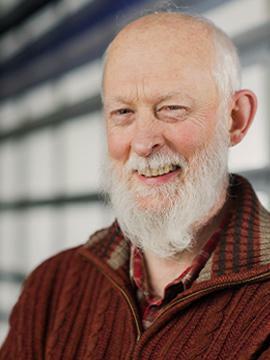 He witnessed first-hand the closure of the cod fisheries in 1992 and saw how Newfoundland households assembled livelihoods out of multiple economic activities. Danny’s daughter, Sarah, had been born while he was a postdoc, his sons, Simon and Timothy, were born in Newfoundland, and his three children grew up as Newfoundlanders. Christine worked at the local pub, and in addition to raising his family Danny played softball, participated in the local historical society, and joined the Catholic faith of his young family and most of the town’s residents. The IEAHC imprint had committed to publish Danny’s monograph, and over the following years he completed Farmers and Fishermen and a series of articles that analyzed his view of New England’s transition to capitalism. He called his methodology “catch[ing] working people in the act” by documenting them “working on an actual date in a known town at an identifiable task” to discover “who worked for whom and under what terms.” He argued that New Englanders were motivated by the quest for a competency of comfortable economic independence for their households and the households of their children. They did not pursue the accumulation of capital for the sake of accumulating capital. Households engaged in suites of productive activities that met their subsistence needs and then some. In addition to the loans that settler merchants used to recruit ethnic and religious outsiders to settler fisheries during chronic labour shortages, farmers had their children work for them under the patriarchal rule that was “personal, physical, and arbitrary.” Prices of fish were not a good explanation for the history of the fisheries because until the late nineteenth century fish prices were usually closely related to other commodity prices. In the river fisheries, New Englanders in search of a competency overexploited the fish stocks even before dams had destroyed those fisheries for good. Inverting Mandeville’s Fable of the Bees, he concluded that private virtue yielded public vice. In Flatrock, Danny inhabited a community of people who grew up within sight of the water, where working on the ocean was just what one did, and where the economy was not industrialized. These became themes of his second monograph, Young Men and the Sea, a sociology of seafaring labour. His research analysed thousands of data points to confirm the identities of hundreds of individual seafarers and document their biographies. He argued that for the ethnic insiders of settler New England during the seventeenth and eighteenth centuries, maritime labour was just one phase in the lives of people who also worked on land, that these workers continued to be connected to their towns of origin throughout the years of their voyages, and that the odds were good that they might advance from seaman to master or mate. The life of Ashley Bowen of Marblehead, the earliest American sailor known to have written an autobiography, illustrated these patterns. From MUN, Danny became department chair at the University of California at San Diego during the high school years of his children. He had been ill, and while in California Danny took experimental treatment, received a full bone marrow transplant from a donor, and recovered. From California the University of British Columbia hired him to be the department head there, too. After a year when Danny lived at the St. John’s College graduate residence on the UBC campus, Christine and he moved to a house in New Westminster. There, Christine began to work for the Elizabeth Fry Society social services organization. Danny said to me of his time as a chair that he felt pride in the accomplishments of his colleagues as if these accomplishments were his own. He oversaw a renaissance of new hires in the UBC department and growth in the graduate program there. He worked from the department every day where students and colleagues could find him, and it was important to him that he refilled the coffee maker as often as anyone else did, a gesture that seemed to be both a conversation-starter for newcomers to the lounge and an expression of his outlook on the workplace. Each year at UBC he hosted department town halls for undergraduate and graduate students to speak about their concerns while the department chair, undergraduate chair, graduate chair, and staff listened and responded. He also advocated that faculty in research-intensive universities keep in touch with students by leading discussion sections and grading assignments. However, much of the good work by a department head never does become known publicly. While he was leading the department, Danny said that teaching was the highlight of each week for him. In lectures he said, “history is the product of the disciplined imagination,” and he urged undergraduates to see how strange the past is when compared to the present. 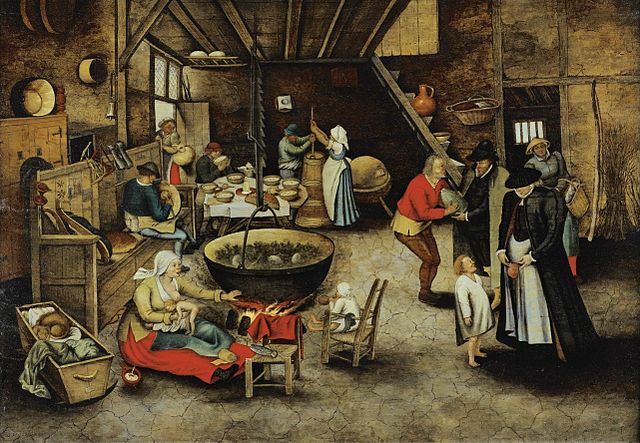 He opened one lecture about how early moderns lived and worked in households by leading a student discussion of Brueghel’s painting of a peasant household in The Visit to the Farm. Later, joining art to social science, he presented graphs of wage and price indices to argue that life became more difficult for working people during the price inflation of the sixteenth and seventeenth centuries. For weekly readings, Danny preferred to assign classics of world literature instead of journal articles, including More’s Utopia or Gandhi’s Hind Swaraj. While he was department chair at UBC and after he ended that appointment, Danny continued to work on the history of borrowing and lending. He liked to joke that these were his Cincinnatus days. Danny took the apparent hurly-burly of borrowing and lending that early New England farmers wrote down in their daily diaries then converted these transactions into double entry bookkeeping of debits and credits. He argued that these post-medieval, pre-modern households had two separate modes of exchange each with its own rules. One was monetary for transactions such as land sales or specialized services such as midwifery or surveying, and the other was non-monetary, for transactions such as shared labour and other neighbourly tasks. On Nantucket, another drama played out. For many decades Wampanoag islanders understood their exchanges with English settlers as gifts within an economy of shared abundance, but then settler merchants began to sue for debts that these merchants understood as part of an English-style economy of obligations. After this turning point, Wampanoag traders began to deal with the merchants in cash and began to use book transfers that transferred debt obligations from one Wampanoag dealer to another. I can write about the discipline and imagination of Danny’s socio-economic history, but it is stories about Danny’s human connection that we speak about the most. At one point I had a conversation with Danny when I worried that I needed to justify to him some difficulties I had encountered. Danny responded by saying that he believed people have a need for someone to take them “at their face value” and to believe that they are sincere. He said that this had been his philosophy while he was chair, and that he took me at my face value that day. Hearing this caused me so much relief. Danny believed his students and colleagues. To remember Danny, we do well to take him at his face value, just as he took us at our face value. Around his office desk was a picture of his mother, a license plate from Virginia, a cod jigger from Newfoundland, a picture of his daughter in California, gifts of turtle figures, and tall, bearded historical action figures. The dedication of Danny’s second book reads simply, “To Christine.” She worked with him on all his projects and he acknowledged her by writing “To have had the fortune of completing this book in her company is the greatest blessing that I own.” I believe him. Stephen Hay worked with Danny Vickers as a PhD candidate at the University of British Columbia. His Twitter handle is @Hay_Stephen. Bowen, Ashley. The Autobiography of Ashley Bowen, (1728-1813). Edited by Daniel Vickers. Peterborough, Ont. : Broadview Editions, 2006. Vickers, Daniel. “`A Knowen and Staple Commoditie’: Codfish Prices in Essex County, Massachusetts, 1640-1775.” Essex Institute, Historical Collections CXXIV, no. 1988 (1988): 186–203. _____. “An Honest Tar: Ashley Bowen of Marblehead.” The New England Quarterly 69, no. 4 (1996): 531–53. doi:10.2307/366553. _____, ed. Companion to Colonial America. 1st ed. Malden, Mass. : Blackwell Publishing, 2003. _____. “Competency and Competition: Economic Culture in Early America.” The William and Mary Quarterly 47, no. 1 (January 1990): 3. doi:10.2307/2938039. _____. “Credit and Misunderstanding on Nantucket Island, Massachusetts (1683-1763).” Quaderni Storici XLVI (2010): 415–40. _____. “Errors Expected: The Culture of Credit in Rural New England, 1750-1800.” The Economic History Review 63, no. 4 (November 2010): 1032–57. doi:10.1111/j.1468-0289.2009.00531.x. _____. 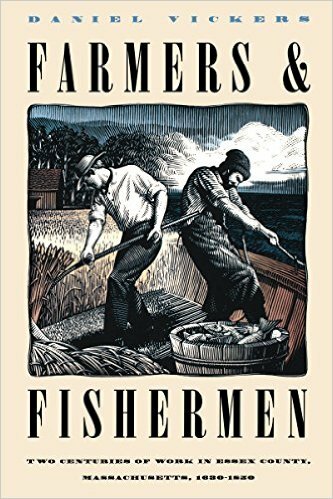 Farmers and Fishermen: Two Centuries of Work in Essex County, Massachusetts, 1630-1830. Chapel Hill: University of North Carolina Press, 1994. _____. “Maritime Labor in Colonial Massachusetts: A Case Study of the Essex County Cod Fishery and the Whaling Industry of Nantucket, 1630-1775.” Ph.D. diss., Princeton University, 1981. _____. “Nantucket Whalemen in the Deep-Sea Fishery: The Changing Anatomy of an Early American Labor Force.” The Journal of American History 72, no. 2 (September 1985): 277–96. _____. “The First Whalemen of Nantucket.” The William and Mary Quarterly 40, no. 4 (1983): 560–83. doi:10.2307/1921808. _____. “The Northern Colonies: Economy and Society, 1660-1775.” In The Cambridge Econommic History of the United States, edited by Stanley L. Engerman and Robert E. Gallman, I, The Colonial Era:209–49. New York: Cambridge University Press, 1996. _____. “The Price of Fish: A Price Index for Cod, 1505-1892.” Acadiensis XXV, no. 2 (1996): 92–104. _____. “Those Dammed Shad: Would the River Fisheries of New England Have Survived in the Absence of Industrialization?” The William and Mary Quarterly 61, no. 4 (2004): 685–712. doi:10.2307/3491425. Vickers, Daniel, and Vince Walsh. 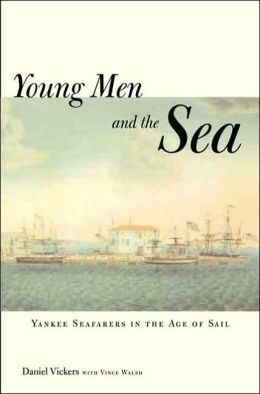 Young Men and the Sea: Yankee Seafarers in the Age of Sail. New Haven, Conn.: Yale University Press, 2005. Daniel Vickers, “Maritime Labor in Colonial Massachusetts: A Case Study of the Essex County Cod Fishery and the Whaling Industry of Nantucket, 1630-1775” (Ph.D. diss., Princeton University, 1981); Daniel Vickers, “The First Whalemen of Nantucket,” The William and Mary Quarterly 40, no. 4 (1983): 560–83, doi:10.2307/1921808; Daniel Vickers, “Nantucket Whalemen in the Deep-Sea Fishery: The Changing Anatomy of an Early American Labor Force,” The Journal of American History 72, no. 2 (September 1985): 277–96; Daniel Vickers, “`A Knowen and Staple Commoditie’: Codfish Prices in Essex County, Massachusetts, 1640-1775,” Essex Institute, Historical Collections CXXIV, no. 1988 (1988): 186–203. Daniel Vickers, “Competency and Competition: Economic Culture in Early America,” The William and Mary Quarterly 47, no. 1 (January 1990): 3, doi:10.2307/2938039; Daniel Vickers, Farmers and Fishermen: Two Centuries of Work in Essex County, Massachusetts, 1630-1830 (Chapel Hill: University of North Carolina Press, 1994); Daniel Vickers, “The Northern Colonies: Economy and Society, 1660-1775,” in The Cambridge Econommic History of the United States, ed. Stanley L. Engerman and Robert E. Gallman, vol. I, The Colonial Era (New York: Cambridge University Press, 1996), 209–49; Daniel Vickers, “The Price of Fish: A Price Index for Cod, 1505-1892,” Acadiensis XXV, no. 2 (1996): 92–104; Daniel Vickers, “Those Dammed Shad: Would the River Fisheries of New England Have Survived in the Absence of Industrialization?,” The William and Mary Quarterly 61, no. 4 (2004): 685–712, doi:10.2307/3491425. Daniel Vickers, “An Honest Tar: Ashley Bowen of Marblehead,” The New England Quarterly 69, no. 4 (1996): 531–53, doi:10.2307/366553; Daniel Vickers and Vince Walsh, Young Men and the Sea: Yankee Seafarers in the Age of Sail (New Haven, Conn.: Yale University Press, 2005); Ashley Bowen, The Autobiography of Ashley Bowen, (1728-1813), ed. Daniel Vickers (Peterborough, Ont. : Broadview Editions, 2006). Daniel Vickers, “Errors Expected: The Culture of Credit in Rural New England, 1750-1800,” The Economic History Review 63, no. 4 (November 2010): 1032–57, doi:10.1111/j.1468-0289.2009.00531.x. Daniel Vickers, “Credit and Misunderstanding on Nantucket Island, Massachusetts (1683-1763),” Quaderni Storici XLVI (2010): 415–40. 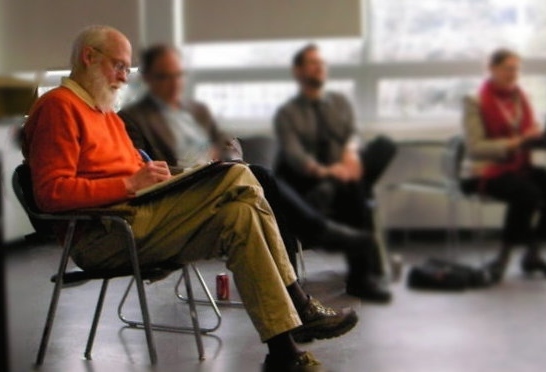 Featured Image: Danny Vickers takes notes while listening at an undergraduate town hall, UBC, 2011. Image has been edited. Source: UBC History Students Association.